That canal or ditch next to your back yard is not a convenient trash disposal system as a place to dump your lawn clippings, old tires, fence, garden waste or debris from landscaping, so don't use it like it is. That's the message from Treasure Valley irrigation delivery entities that operate approximately 1,500 miles of canals, laterals and ditches that carry and deliver precious irrigation water to agricultural and residential water users. "We find household trash, grass clippings, tree limbs, tires, batteries, and quite a few old televisions. When water was coming in this year, we found a pile of trash that consisted of tv's, mattresses, coffee tables and a recliner. It would've been a real mess had the ditchrider not made an additional trip ahead of the water being turned in and cleared it all," said Mark Zirschky, Pioneer Irrigation District water superintendent. Zirschky noted the dumping problem seems to have been a lot worse since the landfill has been more selective on items allowed to be discarded. "It is a serious problem for our irrigation delivery folks every summer, and it has only gotten worse with the strong residential and commercial growth we are experiencing," noted Roger Batt, executive director of the Treasure Valley Water Users Association. 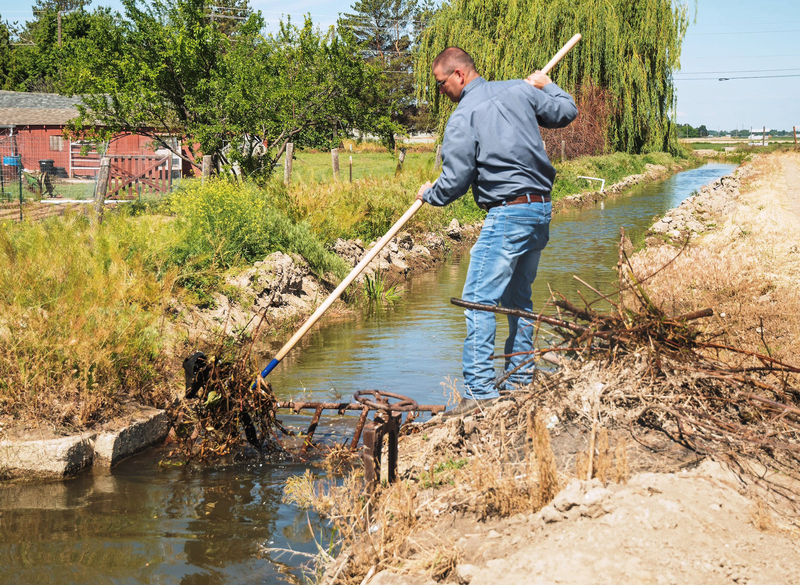 The safe and efficient delivery of irrigation water is so important that Idaho Statute (42-1209) specifically prohibits dumping any material into canals and ditches that can interfere with the delivery of irrigation water. "For the new Idaho resident, the canal behind their home is an 'out-of-sight out- of-mind' place to get rid of their lawn and garden litter, including the limbs they have trimmed from their trees, even the remnants of building materials left by the homebuilder," said Mack Myers of Settler's Irrigation District whose system serves a large contingent of residential areas that is experiencing a growing problem with unlawful dumping in the system's canals." What happens is that out-of-sight debris float down the canal and become someone else's problem. The junk then builds up as it lodges against trash racks and creates a potential for serious flooding and damage to private property. It can also reduce the amount of water available to downstream users who have paid for the use of their irrigation water. 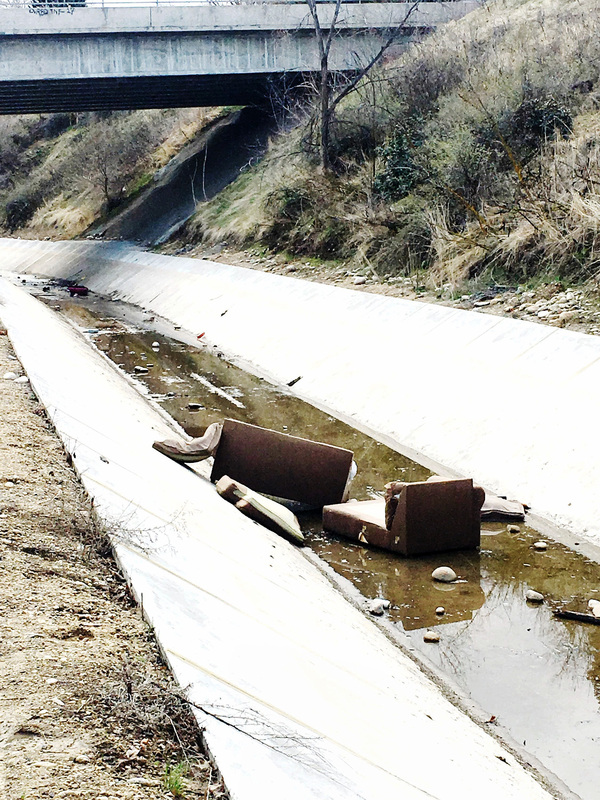 The amount of residential landscaping waste being dumped into canals has been growing steadily with the population expansion in the Treasure Valley. 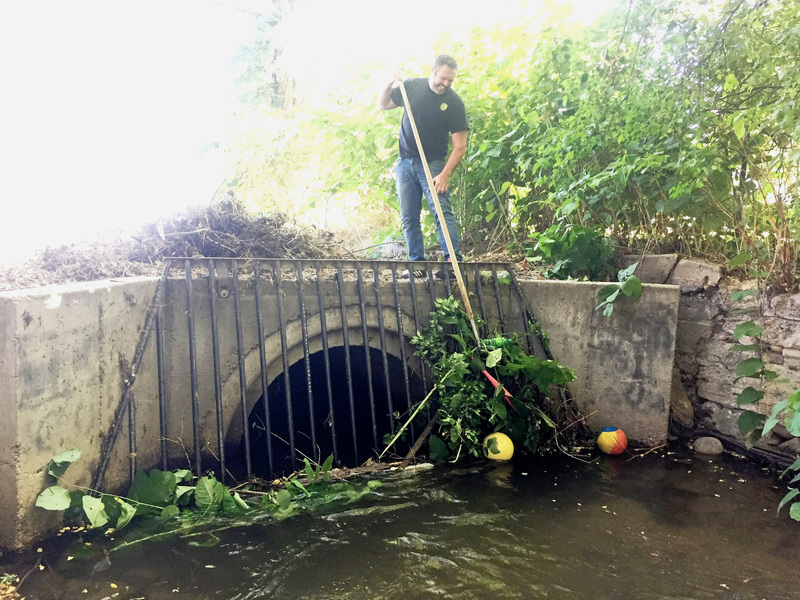 "Our ditch riders are checking the system every day just to keep the racks free of trash and it is consuming more and more of their time. 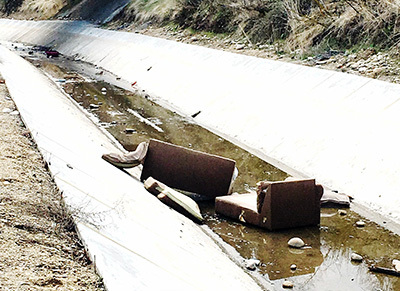 It is also a problem when people dump debris onto an easement or right-of-way (usually over a fence) that may be above or near a canal or ditch, and then the debris eventually ends up into the water," Batt added. 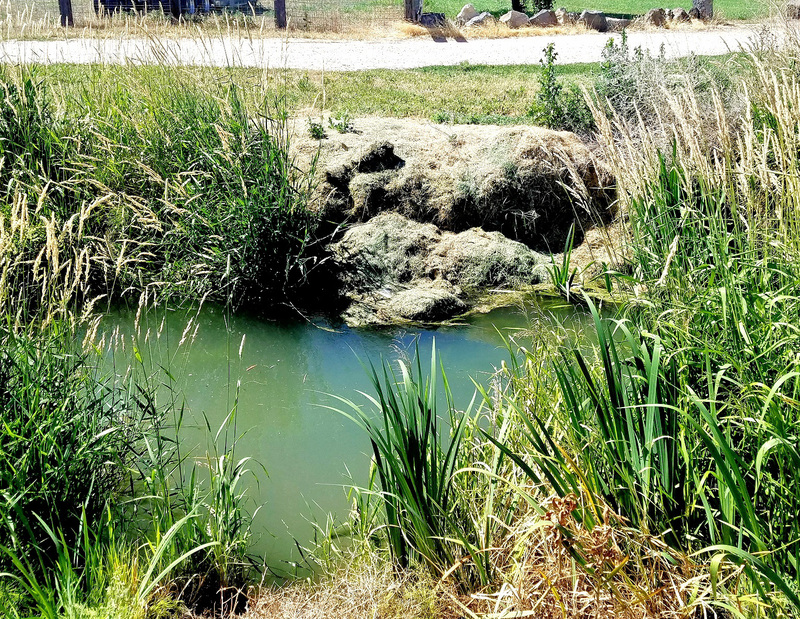 Debris in canals and ditches is also causing increasing problems for residents using pressurized irrigation systems that rely on pumping stations to supply water to their lawns, gardens and community park areas. Trash in the water can easily plug the pumps, cutting off the subdivision's irrigation water supply. "It's really frustrating. In addition to landscape waste such as tree branches that have been obviously cut, we spend about $500 a year just hauling off tires that have been thrown in the canal. We have found car batteries, transmissions, even car engines. TV's and computer monitors are also turning up more often," said Greg Curtis, water superintendent for Nampa & Meridian Irrigation District, the largest district in the Treasure Valley. The idea that the canal is a waste disposal system really shows when residents walk along the canal banks with their dogs, which is trespassing, pick up the animals waste with a plastic bag and then turn around and throw it in the canal, Curtis added. Lawn and garden waste dumped into canals can also create a potential environmental hazard to users due to the chemicals, including pesticides, that are used to treat the grass and other vegetation. "That powerful pesticide that was applied to your lawn to kill bugs or weeds ends up on the clippings that were dumped into the canal. The residue then mixes with the water which moves downstream where it can end up on someone else's garden vegetables or flower beds. It's all about being a good neighbor to others. Remember, you live downstream from someone else who may be doing the same thing," Batt said. 3. NMID-2 – Joe Tackett, a ditchrider with the Nampa & Meridian Irrigation District, pulls trash off a weed rack in a NMID Boise area canal. © 2018 Treasure Valley Water Users Association.